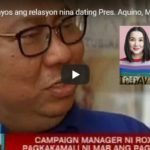 Why is Rappler Paying for Robredo's Google Adsense Advertisements? 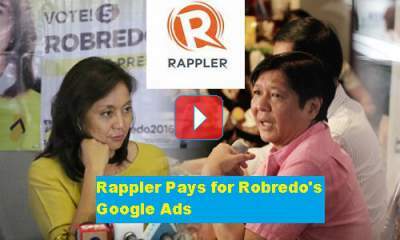 Why is Rappler Paying for Robredo’s Google Adsense Advertisements? The media is often accused that some are paid for by politicians to feature favorable news for them. In Rappler’s case, it’s the other way around. The commercial media that is known as a biased media favoring Leni Robredo and condemning Bongbong Marcos actually pays for Robredo’s Google Ads. Why is this so? 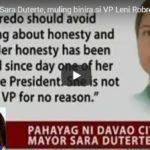 [VIDEO]: This is to investigate why Rappler sponsors Leni Robredo’s Google Adsense Ads as a mainstream media for supposedly reliable news. It is important for journalists to report the truth for the sake of the people – that’s responsible journalism. If a media outlet carries out the duty of promoting a favored political candidate and launching black media propaganda against the opponent, that is a mortal sin in the area of responsible journalism. Just recently, Rappler published an article telling people that the name of the president comes out on the fist page of Google page when you search for the keyword; psychopath Philippines. This is a lie as measured in the Free Search Tool, Serps. 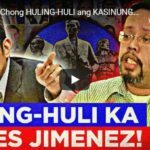 Why in the world would Rappler bet on their reputation to malign the highest leader of the land? Maria Ressa, one of the founders of Rappler is very critical of the President’s drug war. They were already corrected many times because their data just don’t tally with actual public records. This could be the reason why Leni Robredo’s data on her speech in a United Nation’s side event were wrong or exaggerated. What could be the core goal of Rappler? Too bad for Rappler, Google does not tolerate aggression against anyone particularly top leaders of any country. There’s no truth at all that there’s a connection with Google’s putting the president’s name in relation to the keyword “psychopath Philippines.” This is not only maligning the Du30 but also the search engine giant, Google.